If you want to upgrade to the latest iPhone mode, you might want to sell old iPhone that you have been using for some time. Apple keeps updating its iPhones on regular basis. iPhone 6s and iPhone 6S Plus are the leates iPhone models from this company. Currently, only a few people have bout the latest iPhone models to replace their old ones. This is because some are yet to sell their old iPhones. Sometimes, it can be tricky to determine how to deal with an old iPhone after buying a new one. Nevertheless, the best way is always to sell your old iPhone instead of letting it sit somewhere in your home or office gathering dust. Nevertheless, you should know how to sell your used iPhone. When it comes to selling an old iPhone, the first step is always to back up your personal data then erase it. Your iPhone has a lot of vital files that you have saved in it. It is important that you back up the files then erase them to ensure that the new owner cannot access your personal information. You can back up your phone data to iCloud or iTune. You can also back up your filed in your computer. Whichever way you choose to back up your files, make sure that you can access it once you buy another iPhone. Once certain that you have backed up your data, erase it completely. This will prevent possible misuse of that information by the new buyer if they may have bad ideas. It is advisable that you erase data in a way that the new owner of the device cannot recover it. Erasing data from an old iPhone before you sell it will also make it run smoothly and faster. This will make it sell faster. There are many places where you can sell an old iPhone. Each place has its advantages and disadvantages. The price at which you sell your old iPhone will also be influenced by the place where you sell it. Therefore, take time to find out more about different places where you can sell your old iPhone. Choose a place that has established a sterling reputation by enabling others sell their old iPhones with ease. Ideally, the best place to sell an old iPhone should enable you to sell your iPhone at the best price and in the most convenient way. How you present your old iPhone to prospective buyers will influence their decision to buy and price at which they will be willing to buy your iPhone. It is therefore, important that you present your old iPhone in the best way possible. Include the box that the iPhone came with and its accessories including the charger and data cable. This will show prospective buyers that the device is in good condition despite being old. 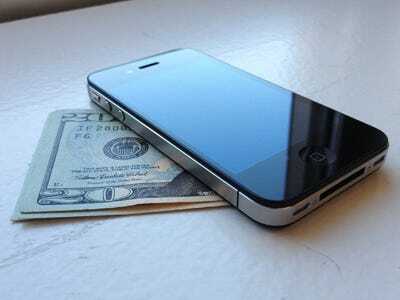 Basically, these tips will enable you to sell old iPhone quickly, safely and at the best price. Follow them then use our iPhone sale service to sell your old iPhone.